Lenore (sometimes misspelled as Leonore) Ulrich was born July 21, 1892 in New Ulm, MN. She later changed the spelling to Ulric for the stage. While still a schoolgirl, she work in a stock company in Milwaukee, WI, and later stock companies in Grand Rapids, MI, and Chicago, IL. 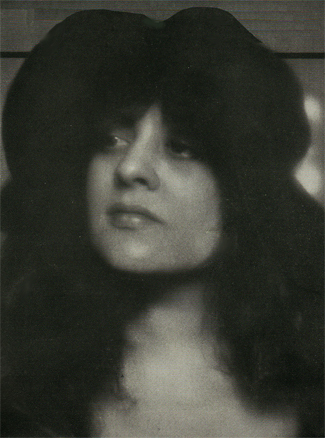 She did work briefly for Essanay in 1911-12, but continued her stage work until 1915 when she six features and one short in a three-year period for such companies as Pallas Pictures, the Oliver Morosco Photoplay Company, Balboa Amusement Company and Triumph Films. She gave up films and returned to the stage. For most of the rest of the silent era, she worked for David Belasco and toured in several successes for him. Her only departure from the stage at this time as her appearance in the 1923 film "Tiger Rose," one of her stage successes that was produced by Warner Brothers. She didn't return to films until 1929 when she signed with Fox. She only made a handful of films, two in 1929, one in 1936 (supporting Greta Garbo in "Camille"), three in 1946 and a final film appearance in 1947. She continued acting on the stage during these years, though, returning to Broadway in Ernest Hemingway's "The Fifth Column" in 1940. She was married to actor Sidney Blackmer from 1928-1939. She died of heart failure n Orangeburg, NY, December 30, 1970.